“I remember it like it was yesterday.” It might be a cliché phrase, but when the memory of September 11, 2001 is still so vivid after 15 years, you can’t really describe it any other way. My mornings usually started at 6am. Well, more like 6:30am really, since I’d likely lay in bed another 30 minutes after the alarm sounded. The usual routine included my dad driving my mom to work at Bank of America in downtown San Francisco before dropping me off at school. Until June of 2001, that would’ve been at Holy Angels School in Colma. But starting in August of that year, my dad would drop me off at Sacred Heart Cathedral Preparatory, right in the heart of downtown San Francisco. It had only been a few weeks into my high school life. And it had been mostly uneventful. 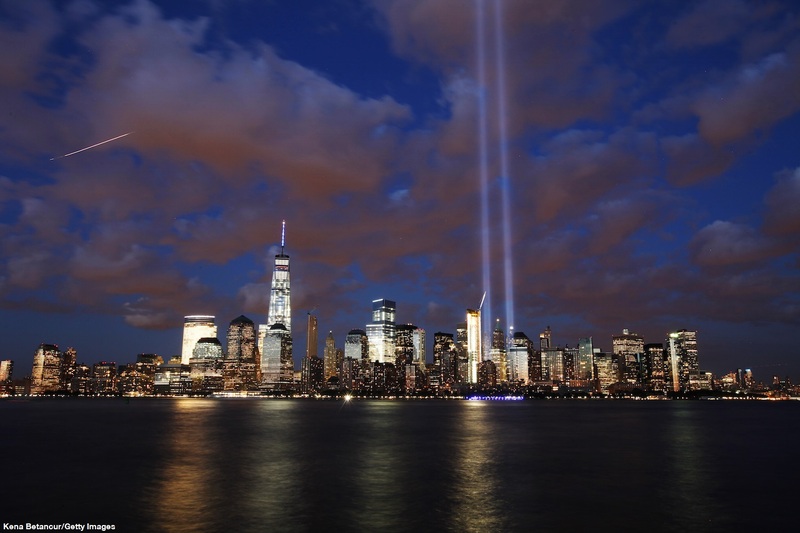 The morning of September 11, 2001 started out like any of those countless mornings before. 6:30am. As soon as I woke up, I went straight for the bathroom, showered and got dressed. Walking out to the living room and kitchen, I was surprised to hear the familiar voices of Katie Couric and Matt Lauer instead of KRON4’s John Kessler and Darya Folsom. The Today Show is supposed to start at 7am. But my dad had the TV on and instead of Channel 4’s Daybreak, it was Couric and Lauer reporting the breaking news. Two planes crashed into the World Trade Center in New York. And the first reports of another crash and/or explosion at the Pentagon were first coming in. It was certainly a shocking way to start the day. But definitely something unimaginable at any time of day, not having witnessed anything that came close in my (at the time) 14 and a half years of existence. We would usually leave the house at 7am, giving us enough time for the usually 30 minute rush hour drive from Daly City to downtown San Francisco. But just as we were about to leave and right before we’d turn the television off, it happened. The South Tower of the World Trade Center collapsed. I don’t think the gravity of the situation hit any of my family until this moment. We watched a little bit more before finally heading out for our day. While we didn’t know anyone in New York City, it still left a very heavy feeling. My first block/period of the day was PE. Classes started at 7:55am. But since it was Walk-a-thon season, we had a 10 minute homeroom squeezed in at the start of the day. First bell had already rung at 7:50am, but right before, there was an announcement calling all faculty and staff to the office. Walking to homeroom, I knew faculty were likely being briefed on how to deal with the current situation. And it became even more clear when the clocked showed 8:05 and us students were still standing in front of locked classrooms. I didn’t know many people at Sacred Heart at the time. Only a few weeks into the school year, the few people I did know were in different homerooms. But the TV was left on in our homeroom and a group of us huddled around and peeked through to watch the ongoing breaking news coverage. It was the first time many of us learned the North Tower of the World Trade Center had also collapsed. It was at that moment that 14-year-old kids who never said a word to each other began talking about things you’d never imagine being first words or icebreakers for Freshmen in high school: Saddam Hussein was behind the attack. It was some Islamist group. There were going to be other attacks, most likely. San Francisco is probably next since one of the four hijacked planes was en route to the city. And our high school being connected to St. Mary’s Cathedral, a large, prominent, distinct (and religious) structure on a hilltop in the middle of San Francisco seemed like a very easy target. It’d be another five minutes before the teachers finally arrived to begin homeroom. It was shorter that morning than usual, but it appeared our day would continue as usual. The bell rang and the sea of students spilled out of the classrooms. Some, including myself, right out of the building. I had to walk down the block and across the intersection to get to the gymnasium on the lower campus. Our class of about 20 head into the locker rooms to change into our PE uniforms. By the time we head out onto the gym floor to start playing some volleyball, it was around 8:40. And after about 5-10 minutes, another announcement. Classes would be cancelled for the rest of the day and all students would be sent home immediately. We were to call our parents or guardians to come and pick us up. And yes, that meant being able to take our otherwise not-allowed cell phones out of our backpacks to call home. I pulled out my Nokia 5110 and called my dad. We went back to the locker rooms to change out of our PE uniforms and returned to the gym floor. All students were to remain in their classrooms until their names were called. So while the rest of the student body were sitting in desks in classrooms, we had the entire gym to mill about in. Some of us crowded into our teacher Coach Franchesci’s office (our first time ever) to watch more of the news coverage as well as peer out onto the La Salle Campus plaza down below. Faculty were preparing tables and a cordoned off maze in the plaza where families would check-in before any student was allowed to leave campus. It was well past 9am when the first names were called. Every few minutes, the next batch of names would be announced. We’d peer back out the window and the once-empty plaza with a roped pathway was now full of parents and guardians waiting to check-in and pick-up their kids. Other than the names over the intercom and the low murmur of the TV from Coach’s office, it was quiet. Even the volume from the plaza seemed low for the large number of people waiting to pick-up any one of the 1,200+ students of the school. We sat on the gym floor, waiting for our own names. None of us saying a single word, silenced by the awkwardness of the first few weeks of high school and the unknown future that lay ahead of this unimaginable tragedy. My name was finally called, the first of my PE class, and I head out. I crossed the plaza into the main building, checked-out and looked for my dad in the waiting crowd. We walked to the car parked in the Cathedral parking lot. I asked if mom had called and maybe they’d be let her out for the day as well. We could pick her up since her office building was right on the way home. I tried calling her on her Sony Ericsson phone, but there was no answer. She’d later call and say that they weren’t being sent home. And if anything, they’d be safe as they worked in the underground, armored cash vault of the Market Street Bank of America building. To get from Sacred Heart Cathedral to the US-101 south on-ramp, you have to drive about 5-10 minutes through San Francisco’s civic center. Our route would usually be busy and full of traffic at any time of the day. But today was different. We drove through almost abandoned city streets. The hustle and bustle you’d usually see on Van Ness Avenue or Market Street was nonexistent. Police cars were now surrounding the iconic City Hall and Civic Center Plaza. The eerie experience was just another indication that this day was not like any other day one would ever experience. We got home and my grandparents were in the living room watching the continuing coverage. By now, it was about 11am. And at 2pm, my dad would usually leave for work. Catching up on all the latest developments, I learned that air travel had been suspended. All American airspace had been shut down. I asked my dad, who works at San Francisco International Airport (SFO), if he’d still be going in. He called their office and was told they would still be reporting for duty. That afternoon, I found myself a little worried and even scared knowing my parents weren’t in the safety of our own home. And they were in two places (SFO and downtown San Francisco) where the lingering threat seemed to still be hanging around into the evening. But both my parents would make it home safely. And on Wednesday, September 12, 2001, it would be back to our usual routine. That usual routine, however, would now take place in a completely changed world. A world that was rocked by an unimaginable and unexpected tragedy. Even more than a tragedy, the attacks were acts of pure evil and hatred that would change the course and future of the world. For my family and me, the September 11 attacks may not have hit us personally. And we may never feel or experience the shock and pain felt by the thousands of families who lost loved ones that day. But for me, the memory of that day is one I will never forget. It’s now been 15 years, yet the memory is still so vivid. “Live life to the fullest.” “Live every day like it’s your last.” More clichés perhaps. But both are effective and accurate reminders that even one more day of life is a blessing. ← Recap: Kamen Rider Ghost, Episode 47 – Conciliation! Everyone's Resolutions!